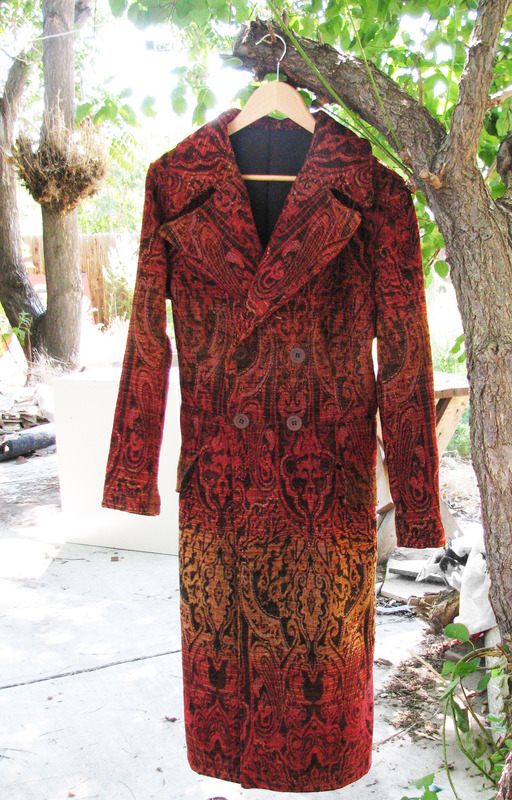 A tropical wool old West style frock coat that we made. 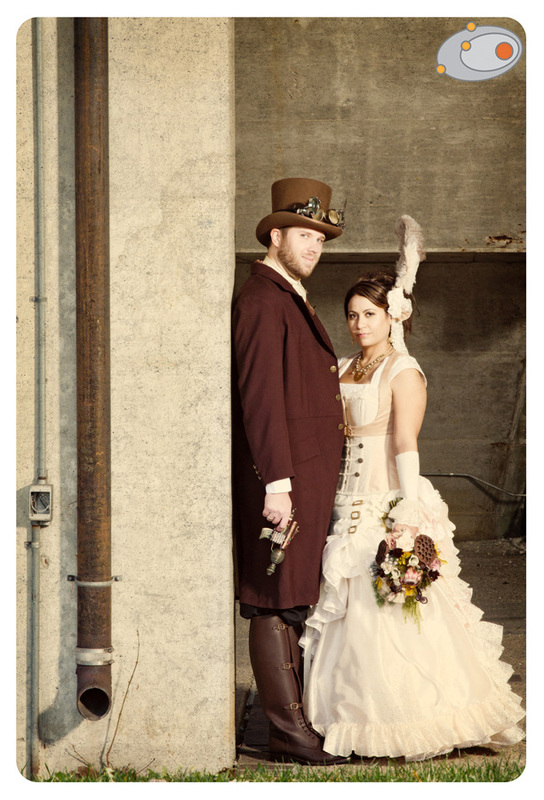 For weddings, steampunk formal wear, fascinating sportswear and outerwear. 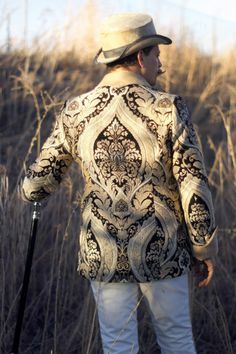 A frock coat is traditionally defined as a long jacket with a seam at the waist. 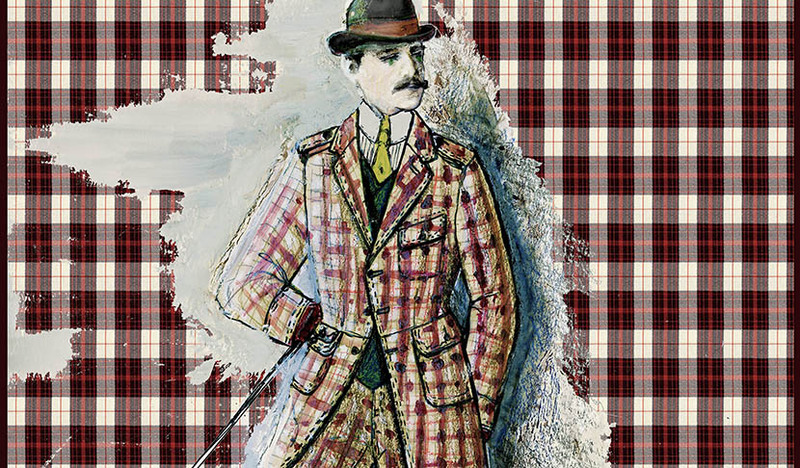 The waist seam allows for shaping, giving the piece a highly fitted look versus other types of coats (like a trenchcoat or raglan) and other styles of jacket (like the standard sack suit jacket). 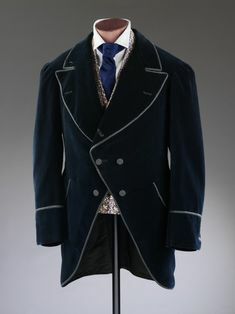 18th century frock coats do not always have a seam at the front waist, and the above definition is more appropriate to later 19th and 20th century clothing. 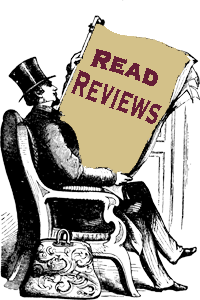 The two most common types of frock coat are the “morning coat” and the “Prince Albert” frock. The “Prince Albert” is double-breasted, while the morning frock is (with a couple exceptions like the University coat) single-breasted. Traditionally, the morning coat would have been worn for day time formal events (like weddings and state visits) in place of a tailcoat. 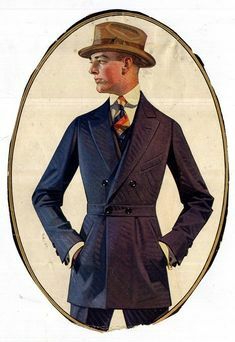 For much of the 20th century the morning coat fell out of style and was only worn by conservative dressers (such as Prince Charles and Ronald Reagan), but today with a renewed interest in formal dress (and Victorian and Edwardian fashions), the frock coat has become one of the garments of choice for weddings. Morning coats can cut away in front to a greater or lesser degree. The grey linen coat picture is what is called a “One Button Frock”. Although the coat has several buttons, only one button (the top button) is meant to be closed. 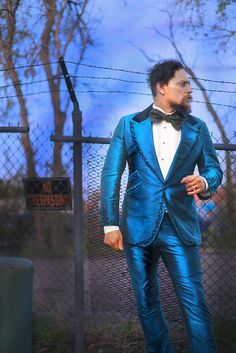 This look is great for revealing a special vest. 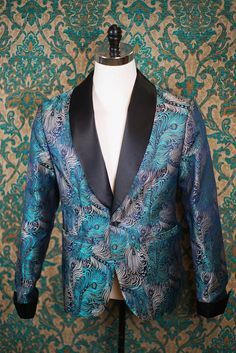 The other styles of frock coat that we make are variations on the double-breasted frock overcoat. Overcoat frocks are made without shoulder pads and generally with less structure so that they can be worn over a suit jacket. The rainwear frock shown is a unique take on the frock overcoat and can be worn for everyday casual or business dress. Every piece we make is custom and there are hundreds of different variations that we can make. 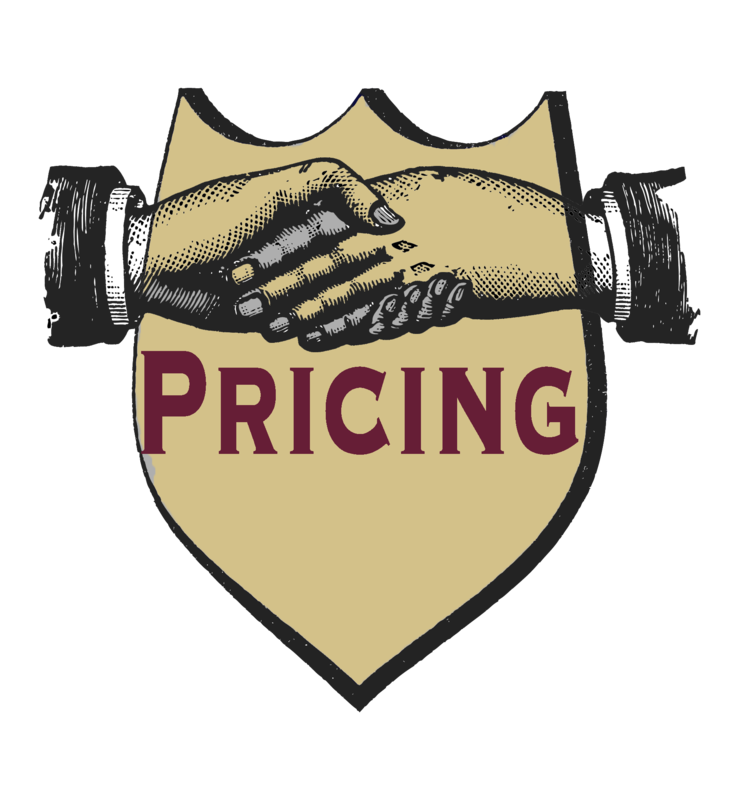 So just contact us (aj@denverbespoke.com) so that we can discuss the options. 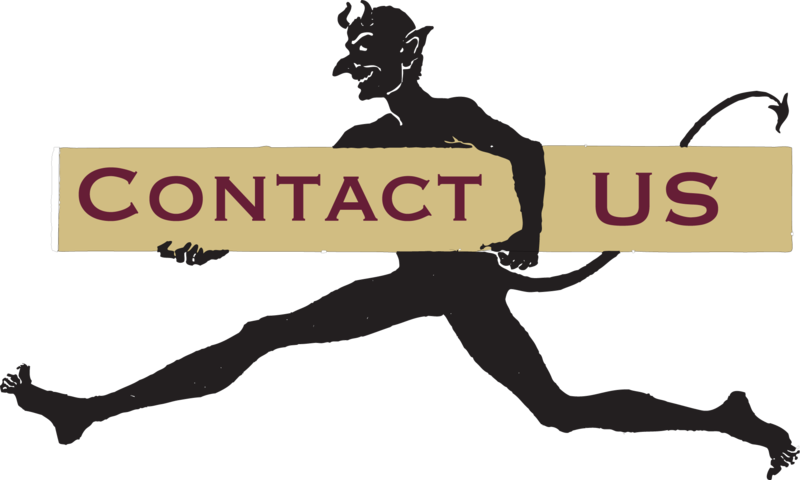 For customers who want a completely custom tailored fit, we offer our muslin fitting service via long distance. For this process we make a mock-up of the coat to send to you before cutting the actual fabrics. You can then take pictures of yourself wearing the mock-up and we will adjust the pattern to get exactly the right fit and style.